Concealed Wall Mounted Sensor Urinal Flusher Valve ,Men's toilet sanitary ware fittings. The electronic Automatic Urinal Flusher is installed in wall,save space and the brass surface is vandal-resistant.The sensor valve built in ,the infrared detects and works automatically.The touch free flushers meet the users need,so they are more and more popular. And it create a hygienic , energy-saving and clean toilet. Looking for ideal Concealed Sensor Urinal Flusher Manufacturer & supplier ? We have a wide selection at great prices to help you get creative. 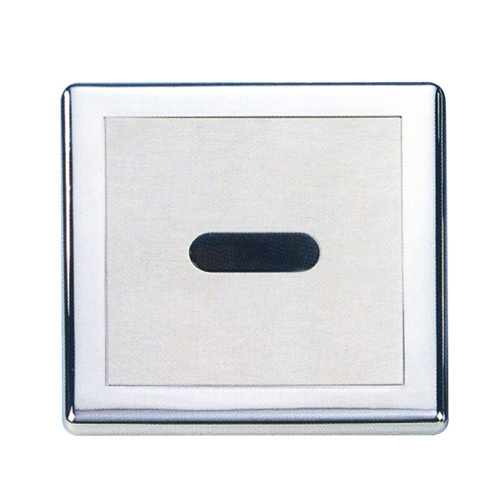 All the Wall Mounted Sensor Urinal Flusher are quality guaranteed. We are China Origin Factory of Urinal Flusher Valve. If you have any question, please feel free to contact us.